What it Does:Identical to a regular Kamehameha wave, but just 10 times more powerful. Goku seems to take a liking to this attack after going Super Saiyan 4 in GT, and uses it on several occasions. What it Does:In this attack the user moves so fast, they leave an image of themselves behind. Thus, it looks like the user is in several places at once, or has made copies of himself/herself. What it Does:This is one of Goku's most powerful attacks. He uses the power of the eternal dragon to try and take his enemy down! What it Does:One of the series' most useful techniques. This allows the user to dematerialize and move as a mass of light. The only downside to the technique is that the user requires a Ki target to "lock onto". What it Does:This is a brilliant attack combination by Goku, which can fool even the smartest enemies. He charges the Kamehameha as normal in front of his opponent, then at the last second he uses Instant Transmission to get close to the opponent and let the blast rip. What it Does:It is a power up technique that allows the user to amplify their Ki by how ever much they desire. Goku should not have been able to go past two times Kaioken, but after training under 100x Earth's gravity he could increase it to 20x. The number denotes by how much the user's power level is times (except for regular Kaioken which is 1.5x). E.G. : Pl = 5,000 + Kaiokenx10 = 50,000. What it Does:The ability to block one Kamehameha with another. What it Does:This is an attack where the user shoots a blast a Ki at their opponent by screaming. What it Does:This is just a simple energy blast. They are very often weak, and are mainly used to deflect larger beams or to distract. But can be effective against lesser opponents. 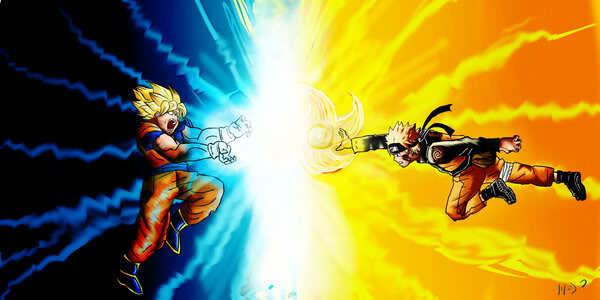 What it Does:This is where a some one who is dead assists someone alive with a Kamehameha. What it Does:This technique is used to lend power to someone to make them temporarily stronger. What it Does:A machine gun KI attack, used by pretty much anyone who knows how to form balls or beams of energy. It is fairly powerful, especially if the defender is caught off guard, as many beams can be fired home, and the ones that hit have more power than the last. It is good as a distraction tactic too, firing a few of them before charging up a really big attack to finish it off. The disadvantage is that this attack can take its toll on the attacker, due to the large energy drain. What it Does:This attack is one of the most useful in the series. The user puts the hands up to the face and shouts "TAYOKEN" or "SOLAR FLARE", this causes the sun's rays to be amplified and reflected into the opponent's eyes, thus blinding them. 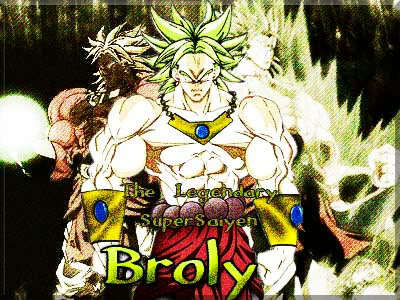 What it Does:This attack was taught to Son Goku by Kaio-Sama, during his time in the afterlife. It allows the user to borrow energy from all the things around him. The energy is gathered by the user raising their arms upwards, this however does leave them open to attack as the strength of the attack is proportional to the time it takes to charge. What it Does:Basically the same as the regular Kamehameha but it is much more powerful and uses a lot more energy.